You may be thinking to yourself, “what? ANOTHER ‘woman travels a long distance alone’ movie in just under a year?! Like we needed more of that after the last one…” This is, in case you’re not familiar, in response to the Australian film Tracks which was released last April and saw Mia Wasikowska venture across vast Australian deserts towards the Indian Ocean – and, in our review, we queried whether its dull tone and boring main character made it much more ideal for a documentary than it would a narrative film. Out of both these films, Wild is the one that uses this basic plot much better in a dramatic format. The reason for this is, quite simply, because we actually CARE about what’s happening. 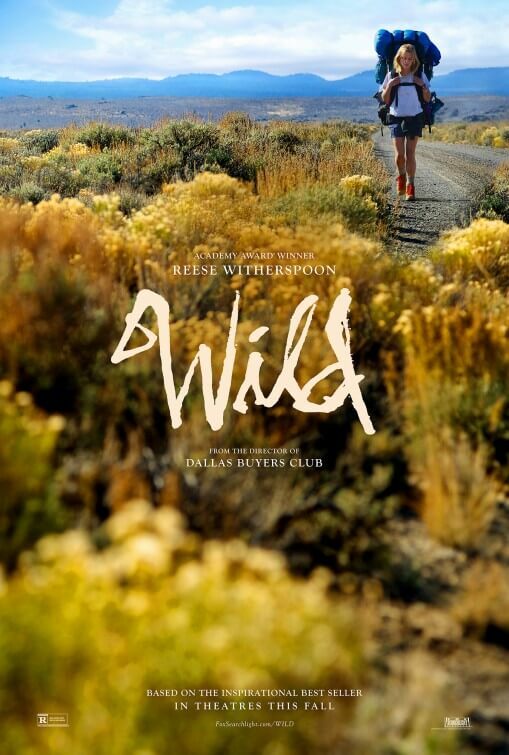 In Wild, it’s made much clearer what the goals and desires of our main character are – Cheryl Strayed (Reese Witherspoon) is seen in various disjointed flashbacks to be continuously cheating on her husband with various strangers, develop an appetite for heroin and basically just throwing her life away in response to the recent passing of her mother (Laura Dern). Her decision to travel over a thousand miles on the Pacific Crest Trail is ultimately a spiritual one, designed to push her to the limit and physically atone for all of her mistakes in her early adulthood. In Tracks, however, the reason for Wasikowska’s journey is boiled down to “just because.” How friggin’ riveting… It works far better in Wild because we actually get to see the hardships from her previous life that ultimately leads to her perilous decision, and as a result we care more about this person when we see just how low they’ve sunk despite better credentials and want to see them get back up to speed again. We hardly knew a thing about Wasikowska’s character in Tracks, and the fact that her character was very private and closed up anyway meant that we couldn’t get to know her as a person which made things very difficult for us, at the very least. But the true star of the film is Witherspoon, who delivers her bravest and most daring performance in years. The Oscar-winner brings both truth and damage to the part, as much emotionally as she does physically, which serves her character well as we see how self-destructive she could be in her previous life – her body is covered in sores, some of which may not have come from her journey – and how much she pushes herself to the furthest edge to complete her ambitious trek. She also has the gift of inhabiting the character with genuine personality, one that we actually want to spend time with on a journey like this – take Wasikowska’s character in Tracks, and place yourself in the same position alongside her; wouldn’t you get annoyed very quickly if you had to walk this distance with a person who won’t even share their thoughts with you? With Strayed, we actually get to know her better and even look forward to sharing this experience with her, which is more than we can say about… oh, you get the idea. Needless to say, Wild is the superior film over Tracks when it comes to recent ‘women seeking salvation through long and perilous journeys’ films – and because of that, we’re hopeful what the next film in that strange sub-genre will bring.